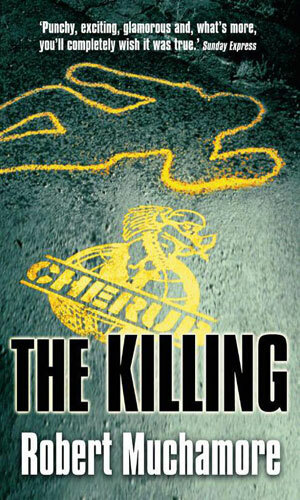 CHERUB is an ultra-secret British Intelligence agency. It is kept so strenuously from the public's knowledge not because of what it does as its actions are seldom violent and then only when absolutely necessary but rather because of who its agents are - children. The concept came from the founder, Charles Henderson, a member of British Naval Intelligence, who during the Second World War came to realize that infiltrating trained adults into closed organizations and groups was always chancy and usually unsuccessful as secrecy breeds distrust and newcomers are seldom welcome. In the clandestine world, such undercover work usually ended in expulsion or death. Using untrained civilians was even more of a problem as the same mistrust was shown to people who had no skills to deal with it. Death was even more likely. But people seldom notice children. The enemy were people who often had children of their own and those children had friends and not many adults, inundated with their work's challenges, really spend any time with their offspring's pals. Plus street urchins, especially in war time, were ubiquitous and scarcely got noticed except for a swat or two when they got too close. So Henderson slowly built up a group he called Henderson's Boys and it would not be unfair to say that they made a significance in the war effort over time, all behind the scene and unknown to all but an extremely select few. After the War, the idea persisted and CHERUB was formed from the remnants of Henderson's organization. What the meaning of the title of the group was, other than its normal reference to childlike angels, is lost in time. Legend around the campus had that one of its first headmasters had come up with the name, complete with the breakout of the anagram, but his wife in a fit of jealousy over another woman ended the man's life before he could write it down. Likely not true but too good a tale to forget. The CHERUB tales in this series all take place in the modern era. 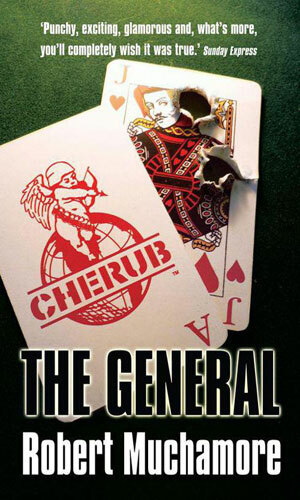 CHERUB is still, decades after its founding, very much active and successful and still zealously secretive. The heads of MI5 and MI6 know CHERUB but the number of their agents that know of it is kept scrupulously limited. James Choke was a young lad just turning 12 living with his mother and his younger sister and too often the boyfriend of his mother, a slackard named Ron. He never knew his father but the family did alright thanks to his mother's occupation as a professional shoplifter. Mom never did the actual stealing, especially since she was far too fat and sedentary to move about but she organized small bands of trained thieves and pulled in the money to provide very nicely. That came to an end when her habit of mixing alcohol with prescription drugs came up badly and she died. James and his sister, Lauren, were sent to an orphanage and it was there that over a short period he was vetted and then recruited into CHERUB. James was an average boy in school, hating it for the most part because some was very hard and some was very easy, like Math, and all was terribly boring. He had considerable potential athletically but was too lazy to work at it and preferred to lie about and play video games. 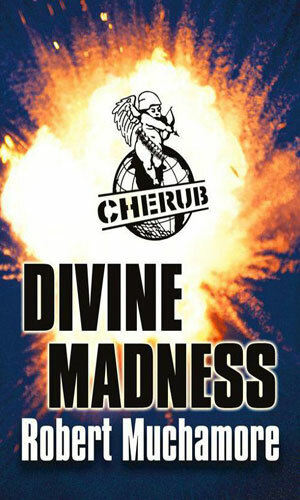 He was a prime candidate for CHERUB. CHERUB takes its time training its agents. All trainees are orphans though many have siblings, often also in training. All start with the basics of getting into shape and getting their education back on track but then the real learning begins. Self-defense is a prime subject. Judo, Karate, Tae-Kwon-Do, and other martial arts are taught and all members eventually earn a black belt in one or more. Foreign languages are also stressed with each student expected to become proficient in at least two besides their native one. As the children get older, they are trained in other vital spy-craft. Lock picking, surveillance techniques, theft were just a few of the subject matters and one did not move on to bigger and harder things until the instructors were certain the lessons had been learned. Eventually the young agents would go on small carefully chosen missions and if they succeeded they were advanced. If they failed, they would stay on that level for more instruction and another chance. Not all children made it. Those that proved unable to handle the rigors of this new life were moved to foster homes but because the vetting was so strong in the beginning and because the teachers so good at what they did, the number of dropouts was low. CHERUB agency comes to an end at age 18. "Retiring" agents go on to college or the military or whatever interests them for their adult lives. Some stick around to be instructors but most leave. The one absolute rule, though, is that when the agent becomes a legal adult, his or her CHERUB days are done. James Choke would definitely be one of those that lasted.. One of the first things CHERUB did to a new recruit to help them feel a new beginning was happening was to change their name, letting the child choose it. James elected to keep his first name and took Adams as his last. Adams took to CHERUB like fish to water. The strenuous physical training was something he did quite good at, remarkable because he truly did prefer a good "lie-in" to running laps. He enjoyed the martial arts though he quickly learned there were always someone better and sometimes that someone was a girl. He did not care too much for the foreign language but he was good at it. Regular schoolwork still sucked but he was bright and got by. Swimming was his only real failing and even that was overcome though it would never be his favorite pastime. Adams showed quickly that as an agent, he was a natural. He was friendly and personable. Good looking enough to be noticed by girls but not so much to be disliked by boys. He was easy-going and likable and cheeky enough with adults to get by. He was an undercover prodigy who had found a new home. The many adventures detailed in the CHERUB books do not just deal with James Adams. He is but one of many agents in the organization and seldom do any of them go on a mission alone. He is likely teamed with Kyle, his best friend, or Kerry, the Oriental female agent he takes a shining to. And there are a fair number of older, more experienced operatives as well as a couple of younger ones. But James Adams is the main character for the first twelve books and the reader follows this young man as he both matures and ages over time and several exciting and often dangerous missions. Once Adams reaches maturity, the series shifts to a new young agent named Ryan Sharma and the show goes on. 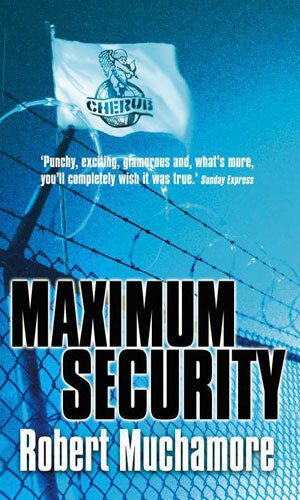 Taking place between Class A and Maximum Security - "Meryl Spencer is a TV quiz show, Kerry is stuck in Japan and mayhem is about to erupt on CHERUB campus!" 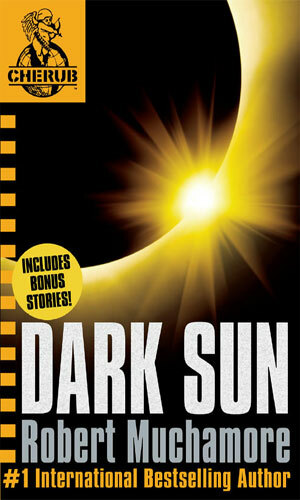 Three agents are planning a sleepover now that this year's term is over but with one of the boy's father being a member of a criminal organization, Dark Sun, it is never an off-night. 1st of 3 alternative futures for James Adams and his fellow agents. 2nd of 3 alternative futures for James Adams and his fellow agents. 3rd of 3 alternative futures for James Adams and his fellow agents. 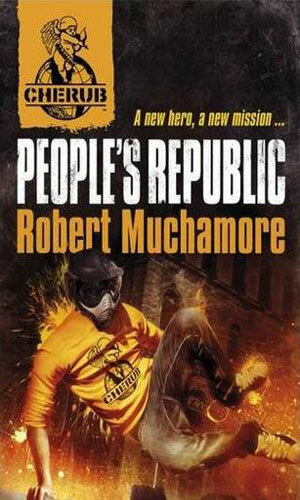 "Robert Muchamore wrote this story after loads of fans e-mailed him asking about James' Adams' dad." 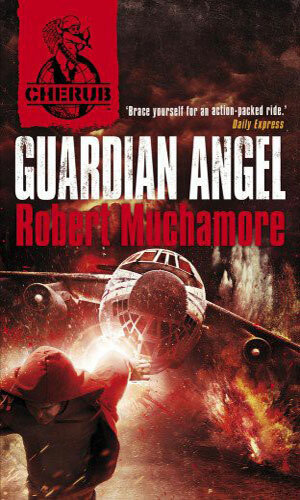 "Robert Muchamore has written a new CHERUB bonus story! 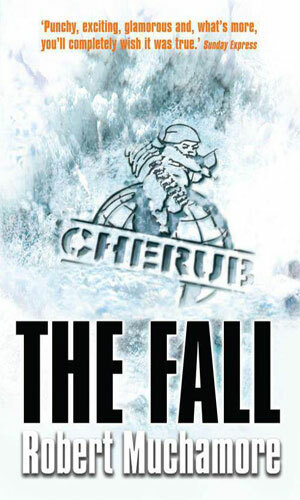 It's aimed at younger readers and follows the lives of two red shirts growing up on CHERUB campus." "James was annoyed when Kerry got sent off on her first mission straight after basic training, but it turned out that there wasn't much to be jealous about." The story of how James Adams first became involved with CHERUB, starting with the death of his mother. It goes on to tell about the terrorist plot he was able to disrupt. 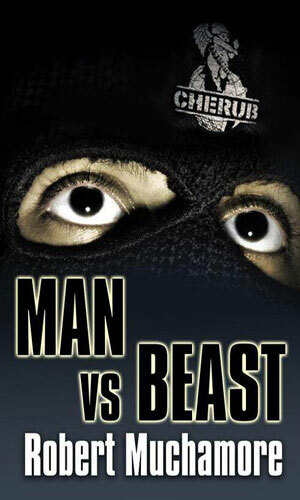 To take down Europe's biggest cocaine drug lord, four CHERUB agents, led by James Adams, join his organization. Adams starts at the very bottom to work his way up. In the Arizona desert is a maximum security prison for some of the toughest child criminals. One of those is the son of an arms dealer that might be able to be used to stop the father from selling missiles to terrorists. James Adams must go inside to break him out. 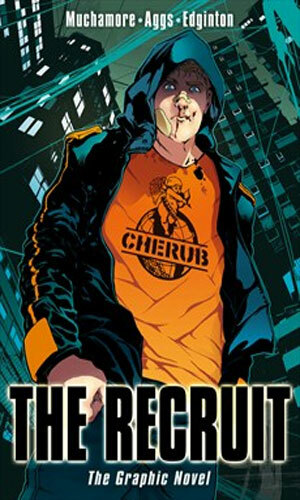 When a small-time crook starts spending a lot of money he should not have, CHERUB is asked by the police to find out why and how. To do this James Adams must get some information from an 18-year old who fell to his death a year before. In Austalia there is a link between a religious cult and an eco-terrorist group and it is up to James Adams to infiltrate to find out what that connection is. Unfortunately, the cult is a specialist at brain washing. James Adams and his sister Lauren are torn in the subject of animal laboratory testing but this latest mission forces them to get right into the middle of things to find out what is going on at a particular lab. James Adams is on a mission for MI5 inside Russia which goes terribly wrong, leaving him with the need to get out alive without help. Meanwhile his sister Lauren is on her first mission alone - looking into a human trafficking ring. 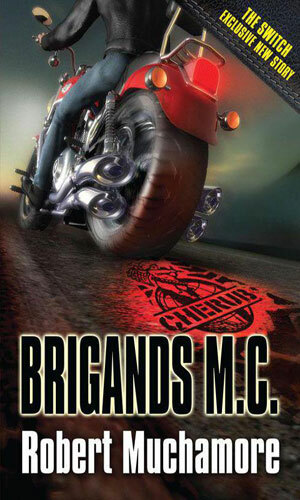 Two powerful criminal gangs in London have gone to war with each other, causing bloodshed and carnage in the streets. The police ask CHERUB to get info on the plans and that means James Adams is sent undercover. 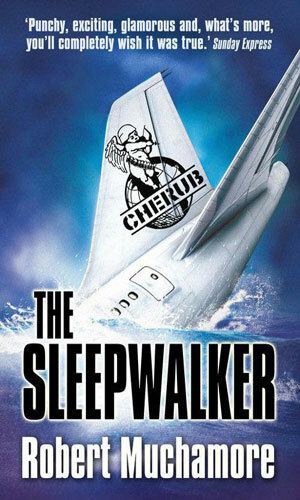 When an airplane with 345 on board explodes over the Atlantic, terrorists are suspected but clues are few. A 12-yr old boy calls in a tip saying his father was to blame. The agents of CHERUB are sent in to check out the claim. In an unusual war game, forty commandos from Britain are in the desert near Las Vegas being hunted by an American battalion. To help them, though, are several agents of CHERUB, youngsters the Army would not look twice at. Dante Scott saw his parents killed by a biker gang. 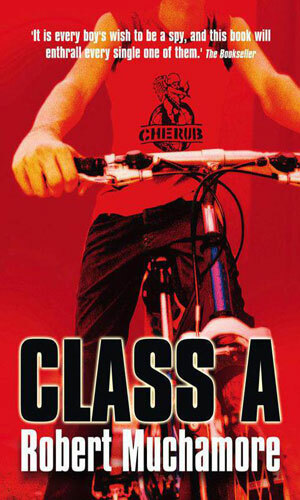 Some time later he is offered a chance to join CHERUB and one of his first missions is to join James and Lauren Adams to infiltrate the same gang, presenting an opportunity for revenge. 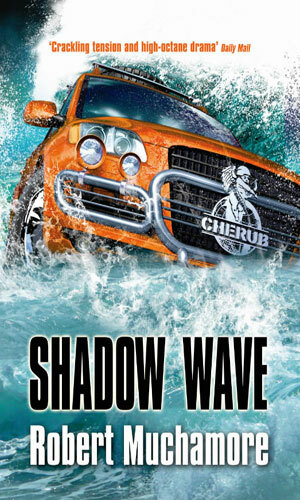 James Adams last mission for CHERUB is to go to a tropical island nation devastated by a tsunami and investigate the leader's plan to destroy villages to make room for luxury resorts. Adams must also decide whether to help a fellow agent with his own plan, contrary to CHERUB's orders. "A new hero, a new mission..." 12 yr old Ryan Sharma is put into the field on his first solo assignment. His task is to become friends with a boy named Ethan, son of a major member of the Aramov Clan, a Kyrgyzstan terrorist group. As Ryan Sharma gets even closer with Ethan, son of a member of the Aramov crime/terrorist organization, his chances for getting caught increase as well. Lauren Adams, now 16 and a veteran agent, is available to help. The Aramov Clan is planning a major attack on the US and Ryan Sharma is the only one close enough to learn the details. CHERUB agents Ryan and Ning need the help of Fay, a young criminal with a long rap sheet, to bring down even nastier drug runners but someone is out to help her stop breathing. 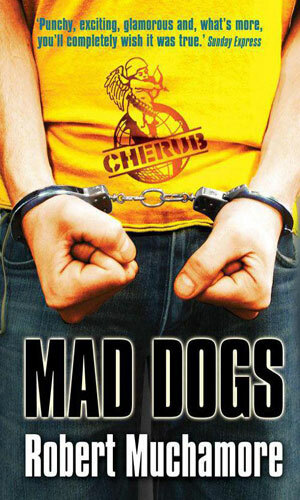 "12-year-old James' life is on a downward spiral when he wakes up in a strange place and gets offered a job working for a secret organization known as CHERUB..."
I had always been a snob when it came to books for young adults even though when I was a young adult, I devoured them. But when I grew up, I became far too good for them. Luckily recent additions to this compendium has set me straight. 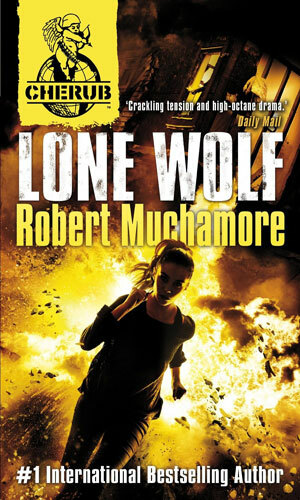 Works like the Young James Bond and Alex Rider and Cammie Morgan have shown me how darned entertaining and just good reads a properly written "for young adults" book can be. This is absolutely the case with this terrific series. 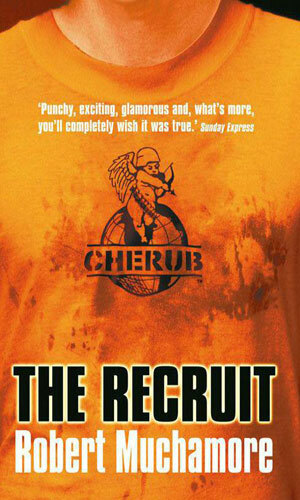 I read the first book, The Recruit, to know enough about the series to write about it. When I finished the book, I did not sit down to write up what I had learned. I grabbed the next book. And then the next. 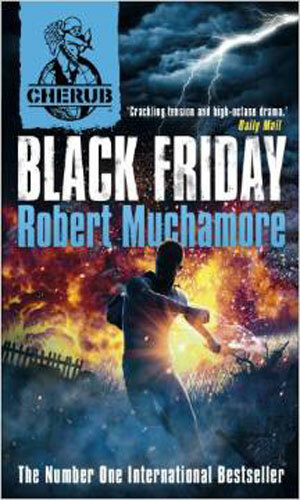 These are really good adventures and the writing style of Robert Muchamore is superb. There was no doubt by the end of the third that I would read each and every story. They were just too good to not read. The fact that Adams has a decent size cadre of fellow agents is a great idea. You really get to know him a lot but you also become close to Kyle and Kerry and especially Adams' sister Lauren who also becomes an agent over time. There are a good number of supporting characters you learn to like and occasionally miss when they go away either through graduating or just not making the grade. But James Adams is the main character and he is a terrific one. He is so very human. As a tween becoming a teenager, he hates getting up in the morning. He loathes homework. He likes girls a bit but often prefers video games. As an agent, he is intelligent, diligent and quite capable. He also makes his share of mistakes and pays the price for them. Over the books he grows up literally and figuratively. He has all the problems that come with growing up, not to mention a fair number going up against radicals, terrorists, and the odd criminal or two. He has his share of bloody noses and bruised egos but he eventually gets the job done. The author gets the job done as well. Quite well.